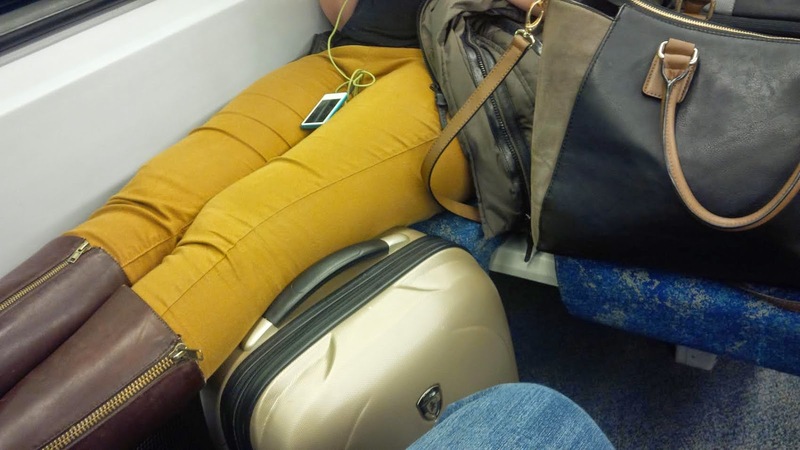 ‎Not only is she occupying two seats because of her feet, her bags are all over the 'quad'. I had to move to this hell hole, because the guy across from me smelled too much like darker noir and made my sinuses go nuts. I don't want to generalize...actually, yes I do. Judging from this woman's suitcase, purse, pants and boots...I already can't stand her.